This jam is hosted by Istanbul Bilgi University's Digital Game Design Program. 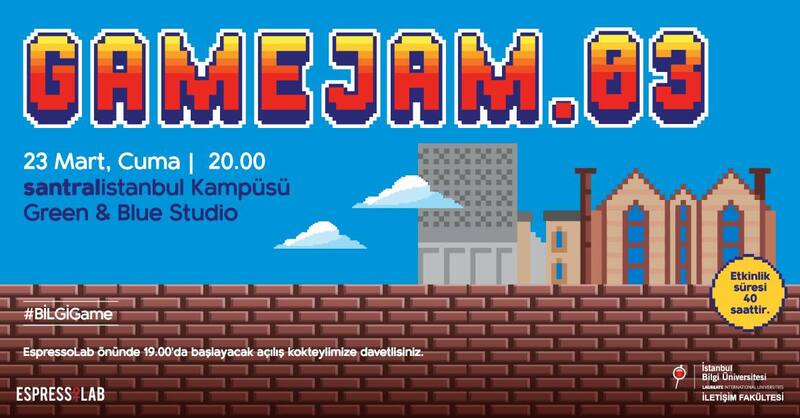 BİLGİGameJam has organized at 23-25 March on santralistanbul campus. Jammers are encouraged to design either a digital or physical game with a given theme. This jam's theme is "borders". Broke your borders and escape from the prison. Go to border gate before time is up.